So it’s been a busy couple of months. I had yet another birthday (which, as is typical, I did my best to ignore). I moved house (always a fun, and not at all stressful thing to do over Christmas). I made New Years resolutions, which I have promptly forgotten about three weeks later. And oh, I finished the final, final, final copy edits and tweaks and last second panics, and I sent my book to press. It’s in stores tomorrow, which is something I haven’t quite managed to get my head around yet. 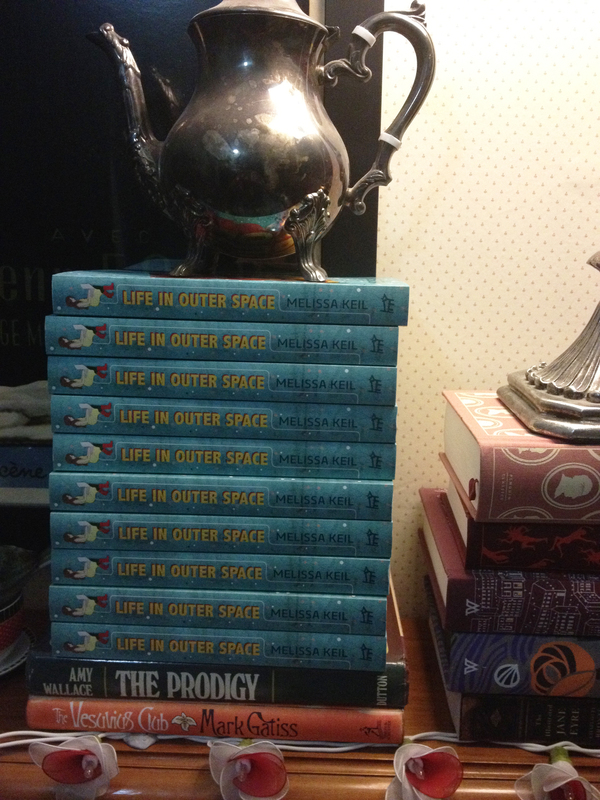 I’ve been chatting with lots of very cool people over the past few weeks, doing interview-type things and answering questions about my book – the sort of questions that are forcing me to think back to when Life in Outer Space was but a couple of random paragraphs on my laptop. Surprisingly, thinking about the book this way – the actual process of writing, of forming and developing a world – is a weirdly difficult thing to do. As I wade through the initial research and drafting stage of my new novel – battling the empty page and the difficult slog of a first draft – I’m finding that I need to constantly remind myself that Life in Outer Space, and these fictional people who I feel like I know so well, weren’t always fully formed. There were many, many moments where the only whiny words that my writing buddy and I could share, were, ‘writing a novel is really hard…’ It may be a naff thing for an author to admit, but two years later, these characters – Sam and Camilla and Mike and Allison and Adrian – feel like old friends to me. I hope you enjoy getting to know them as much as I did.